Many thanks to Dave Hone for posting the great photos from Steve Cohen of the new AMNH Exhibit. I have been meaning to post about the exhibit over a month now, but April-May is the skeletomuscular course in the medical program at USC, so blogging has been on the back burner. In any case, as Dave mentioned, I had a role in the new exhibit. In fact, I had a relatively substantial role. 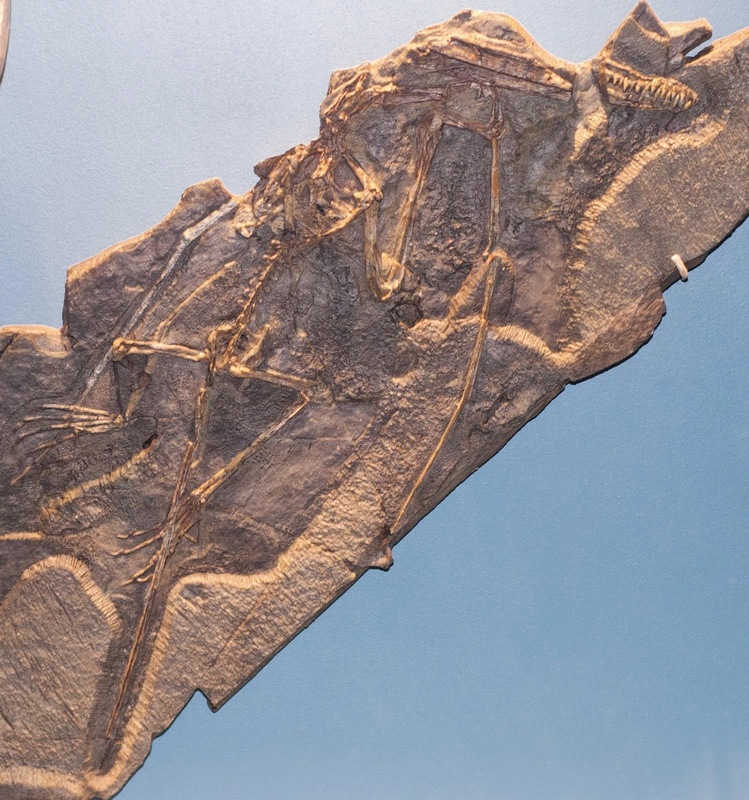 As full disclosure, I was a paid consultant on the exhibit (titled "Pterosaurs: Flight in the Age of Dinosaurs"). I worked with the staff there for a little over a year on the interactive flight simulations, and I did recorded interviews for use in the theater and iPad interactive displays. I also helped rather extensively with the script used for the theater presentation (which is mostly about flight). One thing that neither myself, nor Alex Kellner (the co-curator on the exhibit) were approached about were the promo images. I won't detail any politics on that front now, but some of you may be aware that there some issues that arose on that front. What I can say is that the animation and video folks were not involved in that process, either (and used entirely different models for their reconstructions), nor were the sculptors so far as I am aware. So the promo images seem to be a bit of an isolated entity. As always, there is some variation in the quality of coverage, but overall I thought the writers did a good job of talking up the exhibit while hitting some of the interesting science involved. There will likely be more coming from Scientific American, as well, since I have chatted with them pretty extensively in the weeks following the opening (but more on that when the article(s) hit print). - Excellent specimens. Dave covered this already (see previous post) so I won't belabor it here. They have some awesome stuff, though (including the Dark Wing, which is on display outside Europe for the first time). - Motion capture interactive animations that allow you to control launch, feeding, and flight in Pteranodon and Jeholopterus. 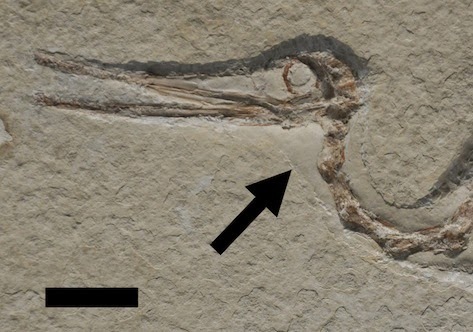 The floating position of the Pteranodon was originally quite bird-like. It was updated using the floating paper by Hone and Henderson at my suggestion. The Pteranodon launch is a water launch and looks pretty wicked. The flight simulation includes basic physics like stall, L:D ratio transitions, and basic rate of climb estimates. 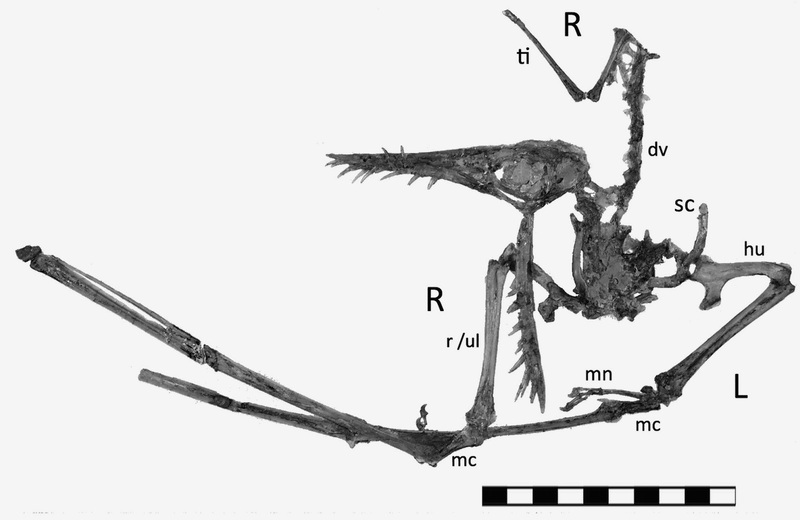 - A full-scale fleshed out reconstruction of Quetzalcoatlus northropi hanging from the ceiling just above reach, with a cutaway to show plausible flight muscle attachment. It's a great sculpture. Sadly, it came together just a little too soon to incorporate the updated proportions from my project with David Krentz. They did, however, feature David's 3D digital model on a sign near the sculpture showing how our reconstructions of Quetzalcoatlus have evolved over time. - An amazing sculpture diorama (full size) of Tupuxuara - the models are by Jason Brougham, who is fantastic at paleo-reconstruction. The pair is shown feeding on fish in a traditional pluck-grab mode. As some know, Mark Witton and I both prefer an alternative ecology for these animals, but the sculptures are still magnificent (and to be fair, their feeding ecology is contentious - they can't just side with me every time). If you are in NYC, the exhibit is well worth a visit (the specimens alone make it worthwhile). 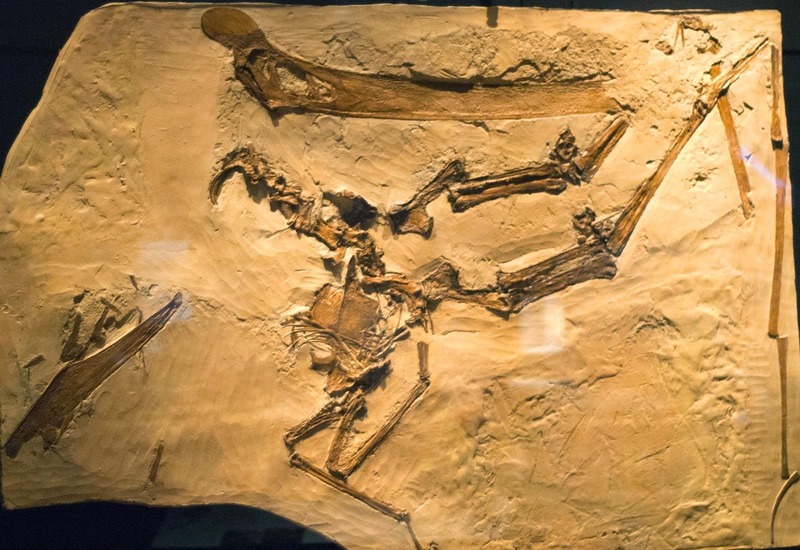 You may be aware that there is currently a major new pterosaur exhibition opening at the American Museum of Natural History, entitled Pterosaurs: flight in the age of the dinosaurs. In addition to their existing collection going on show, a number of key specimens have been borrowed from China and Brazil in particular and there is new art, animations and life models of specimens. Somewhat inevitably the Pterosaur.net crew are involved in at least some ways. I know that Mark has had an input on the reconstructions, and that Mike has talked to them about take off and flight. 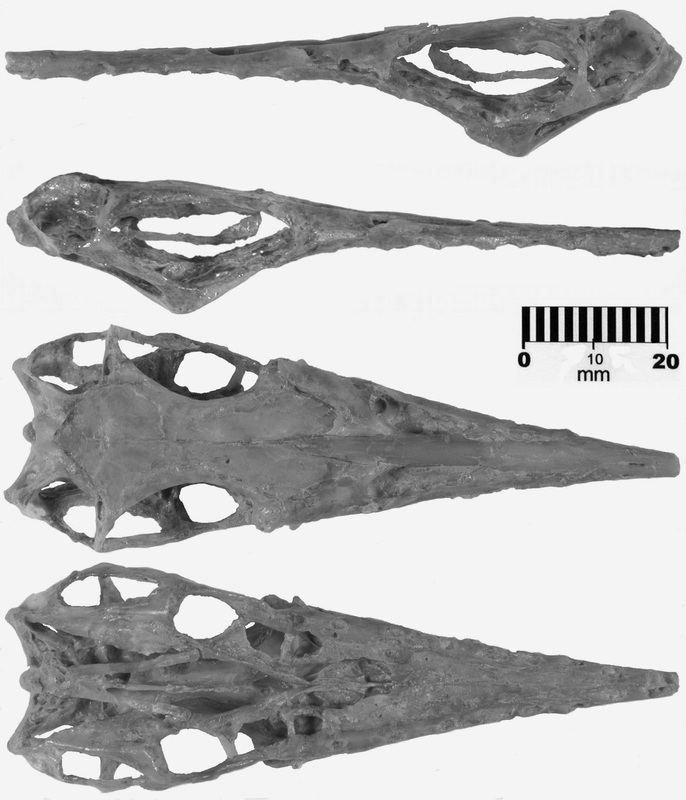 I've also heard that both terrestrial stalking an azhdarchids (from Mark and Darren) and floating posture (my recent work with Don Henderson) also get a look in as part of the displays, so even very new research is in there. Here we are blessed with a few photos from the exhibit courtesy of reader Steve Cohen who is a volunteer there. Steve has generously taken photos before from the museum and passed them on, and here are a few more for the collection. 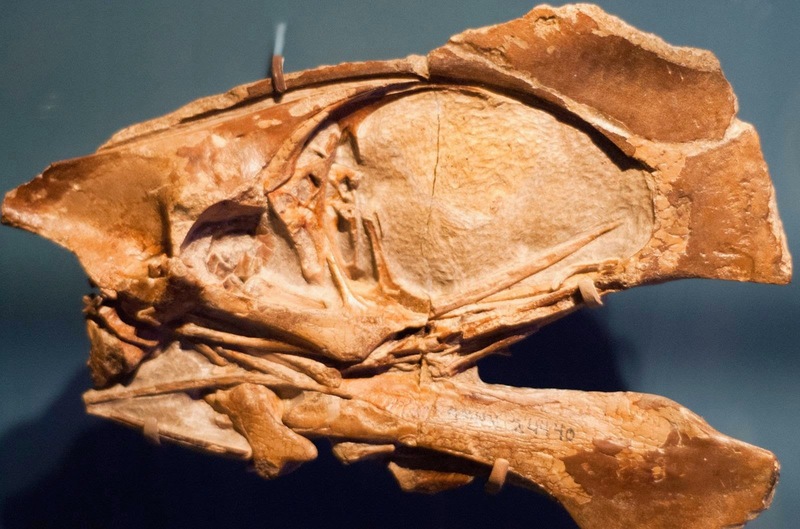 Featured are Wukongopterus, Tapejara, Thalassodromeus and some other wonderful Brazilian and U.S. specimens, and I know material from the Solnhofen (including the dark wing, outside of Germany for the first time), pterosaurs tracks and even the first described egg are also on show. 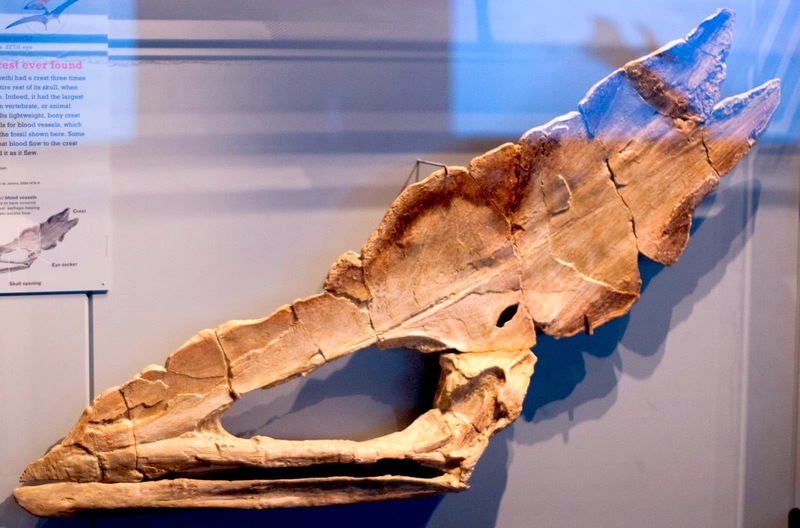 At least a couple of pterosaur researchers are planning a visit given the diversity of material and I hope to join the pilgrimage to see some of this stuff in the flesh. My thanks to Steve for taking the time to take these and send them on. 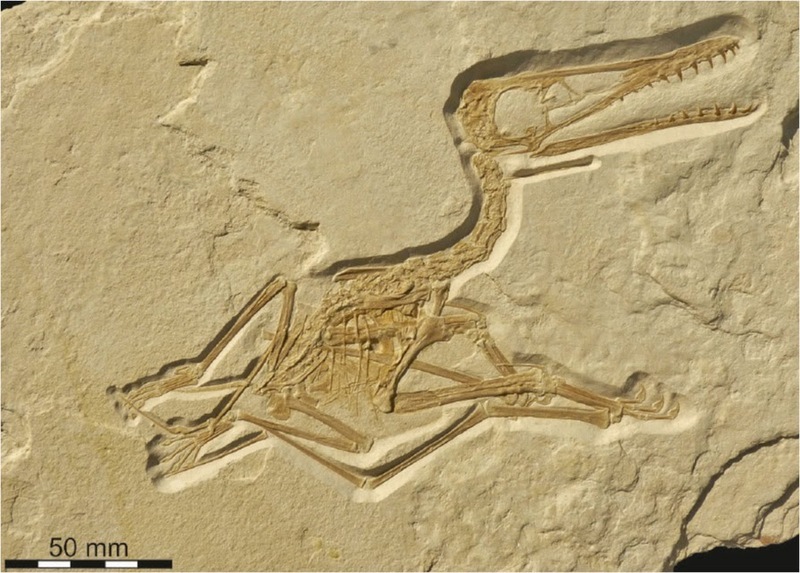 A paper has just today been published describing this lovely specimen of what is rather obviously a) a juvenile pterosaur and b) something that is an intermediate between basal and derived pterosaurs. I've got some more photos and written up a brief bit here on it. 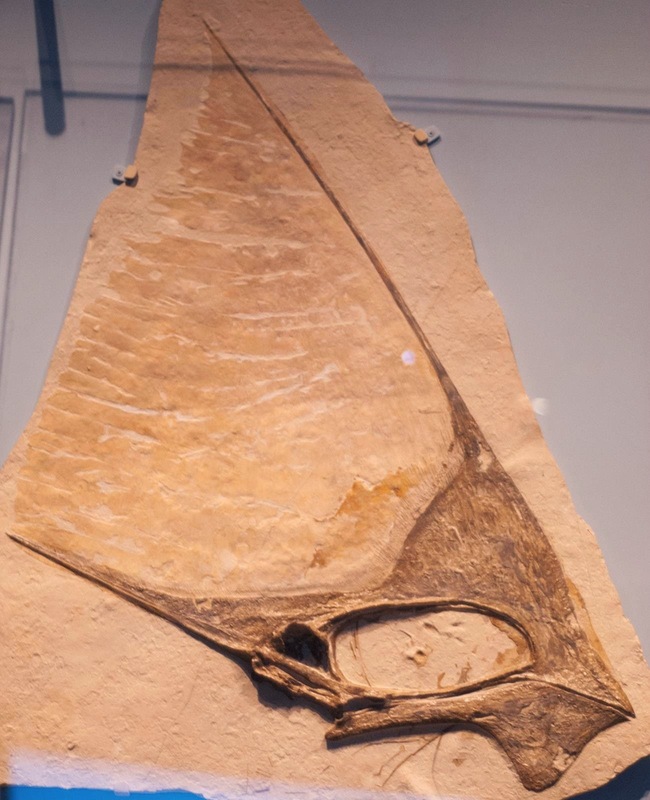 My recent G+ post has relevance to understanding pterosaurs. You can point your cursors here. Bottom line is that quadrupedal launch is more common than it is typically given credit for. In fact, in terms of evolutionary origins, it has been more prevalent through time than bipedal launch. These students are all engineers, which adds a fun element because most were quite unfamiliar with pterosaur biology going into this project. There are some errors in the terminology and details of biology as a result, but it's quite good work, and brought some new things to light for me (especially the Wagner section). Enjoy!